Robly is an email marketing service provider that enables users to launch marketing campaigns and grow their email list. It has a proprietary OpenGen technology that re-sends emails to its mailing list with a different subject line to increase open rate. We compiled Robly user reviews from around the web and determined that they generally have positive ratings. We also compared its available pricing options. 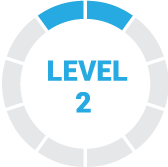 Users who recommended Robly said that it is very easy to use and highly effective in growing their email list. They also like the visually appealing email templates that make it more attractive to their subscribers. Users who gave Robly negative reviews think that the subscription costs are a little expensive for small businesses. However, negative reviews are rare and most users are happy with the services. A user who left a positive review on G2Crowd said that Robly has all the fundamental and essential functions to achieve an email campaign with a fairly fast reach. She commended its uncomplicated and straightforward structure, which helps users manage email campaigns more easily and efficiently. She also said that overall, the platform is intuitive to use and easy to navigate. 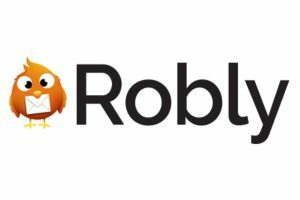 A user who left a negative review of Robly on G2Crowd said that some of his contacts complained about delays in receiving emails which he sent from the platform. Other than that, he said that it is a very useful and effective email marketing software. Robly has three subscription plans: Premium Email ($19/month), *Pro Marketer ($57/month), and Enterprise ($175 /month). The main difference between the plans is access to advanced features such as landing pages with A/B testing, sales and marketing automation, and 24/7 deliverability consultations. Prices of each plan can increase depending on number of email list. *As of the date this article was written, the Pro-Marketer Plan is not yet available and is pending launch. Check out the list below of some of Robly’s features. Best Email Marketing Software: Which One is Right for Your Business? – In this article, we compared our top email marketing software picks: MailChimp, Constant Contact, and AWeber. We compared them based on price, ease of use, quality of customer support, and other important factors. What differentiates Robly from other email marketing tools in the market? Robly’s differentiating factor is its OpenGen technology. This feature helps in increasing open rates by automatically resending an email after 1 to 10 days with a new subject line. Additionally, it delivers emails at times when a subscriber is most likely to open their inbox. It also provides in-depth reporting that shows updates on hourly email open rates to users. How can I grow my list using the software? Through the exit-intent popup widget, Robly offers subscribers who are leaving your website some incentives for joining your mailing list to help you increase your chances of expanding and growing your email list. This video provides an overview on how to create and send your first campaign. Still not sure if Robly is the right fit for you? Read our reviews of the top email marketing software or check out one of these three Robly competitors. Absolute happiness, campaigns are created very easily, something we always consider are the prices of Robly in comparison with other software for sending emails, so we are in complete harmony when we use it, it gives us the same tools as Mailchimp gave us, the retargeting is good. Improving the platform a bit would be very good, but we do not have much to add about the things that we do not like, even though we have about a year working with robles, this has not presented major flaws. We learned very well before agreeing to buy a license, making comparisons and we ended up proving his free trial that was excellent in our decision making. Robly is undoubtedly an email marketing software that our entire organization loves, we can create campaigns to send our emails very fast, it has a very good order on its price and offering you the same tools as any of its category. Easy handling, either starting with a template or doing it ourselves. The biggest and only problem that I have considered of Robly is that it can not save the information that I was editing, for example if I am in the process of sending, editing and restarting automatically everything is deleted and I must start again. Absolutely nothing, this software has good design and customization. Through its campaign generator it makes it easier to create an email marketing campaign. It has managed to optimize our way of doing our marketing by email, it allows us in a very effective way to add images, texts, borders, dividing lines, funds. The most pleasant thing that Robly has is the accuracy with respect to Emails, this platform has a quick mailing that makes it easy for customers to obtain information quickly. It is very nice to use Robly, you feel great relief when marketing is done quickly and automatically. Robly has a very complex structure, this platform is not easy to use. My recommendation for the owners of Robly, is that they try to make the platform easier to use for new users. It has a very good functionality and very well scales Marketing. Robly is an excellent manager in charge of having a marketing matter at hand, that little by little boost sales and simplify forced labor. I love the way Robly helps me bring the information first hand to users and customers interested in that. The sending of each one of the mails is exact, it arrives in record time to its addressee. The platform is very empty, has very little information about how to use each of its functions and this complicates the operation for new users. The management of the emails that Robly does, is perfect to have an appropriate Marketing at all times.